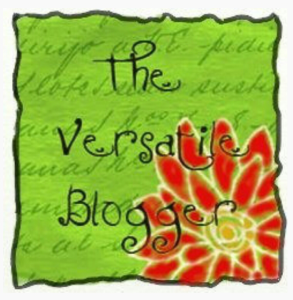 Thanks to Lisa van Reeuwyk of bloomlisa and Blazing Light of Glory for nominating me for the Versatile Blogger award! 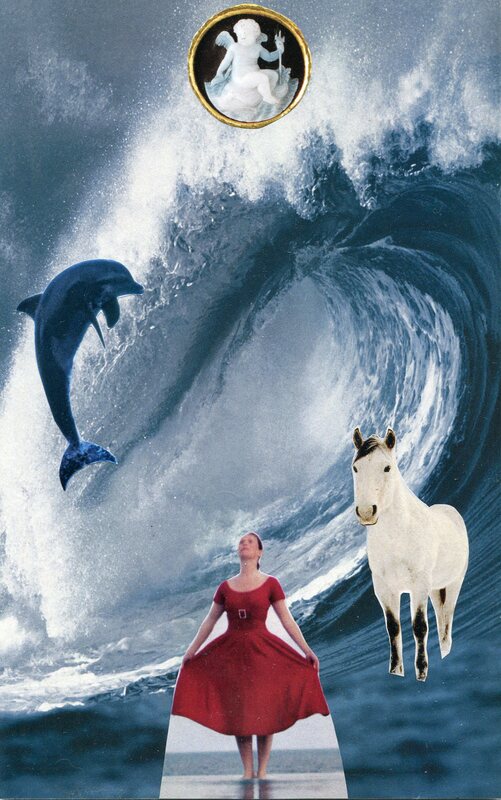 She shares my interest in totem animals, card reading, and spirituality, and is always a bright, optimistic, loving, encouraging voice–and who doesn’t want more of that? I remember seeing someone’s “seven interesting things” post around the time I started blogging in earnest, and thinking this looked like a fun award. So thank you, Lisa–I accept with pleasure. I have no cavities, so I love going to the dentist. My dental hygienist has a great sense of humor–we laugh and laugh, no laughing gas required. No one has a better time at the dentist than I do. The thing people seem to find most surprising about me is that I don’t watch TV. Before I knew William Morris had said anything about it, I believed that everything useful should be beautiful, and increasingly, I want the beautiful things I own to be useful as well. There will never be a blue safety check in my life (even as a child, they grated on me–Why so ugly?!). Though I rarely write a check now, I get compliments when I do on my pretty Art Deco ones. Once I’ve gone to the trouble to find beautiful, useful things, I want them to last. I’m on my third car, and my second cell phone. Planned obsolescence is lost on me. I am known for my shoes. It’s not an Imelda Marcos situation, but each pair–leopard, polka dots, red patent–makes a statement. Even my gardening clogs are purple. Once a chiropractor prescribed orthopedic inserts for me (another case of the cure being worse than the disease). I mentioned that they wouldn’t work with the vast majority of my shoes; he said I would no doubt start buying shoes they did work with. My mother said, “I don’t think he understands how you feel about shoes.” She was right. Someone who visited my house not long ago remarked that I had an “antiques fetish.” I protested, pointing out many new items. “Ah, but even your new stuff looks old!” Perhaps it does … perhaps it does. 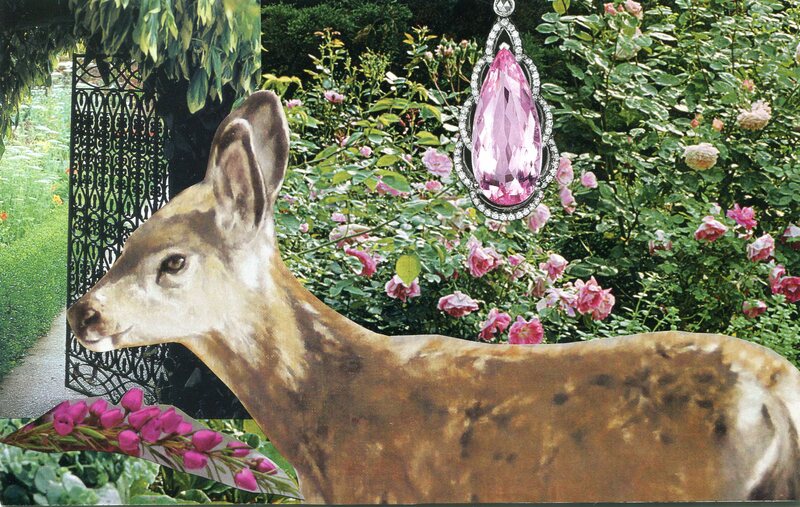 Michelle Hedgecock posts about her art, SoulCollage, animals, nature, clutter clearing–and her experience of all of them. She has a beautiful, loving voice, and isn’t afraid to put herself out there. Dee Mallon posts about her lovely quilting and other textile art, crafting, museum exhibits, makers, travel, gardening, family, photography, SoulCollage, and no doubt more that I’m forgetting! Just about every one of her posts is versatile. Thanks for all you’re sharing with me, and the world! Last weekend, as I prepared to write this post, I had a couple of ideas in mind. Although this is my 100th post, and also my birthday post, my ideas weren’t ambitious. I knew I’d be out celebrating my birthday most of the weekend, and wouldn’t have much time to write or collage. But when I sat down to meditate and ask for inspiration (as I almost always do before writing), the Muse clearly had other ideas. Great difficulty–handled with grace, the most ever. Outclassed [those who created the difficulty and the others involved]. I am the one who is under pressure–and yet I am calm. Joyful, even. I am vulnerable, and yet I am very, very strong. In the eye of the storm, I am calm. Why not? Never let ’em see you sweat. You will no doubt need to vent in private, but remaining calm has the additional benefit of giving less than no satisfaction to anyone who may be attempting to create difficulty for you. When people come out of the shadows and attack you, they’re giving you a lot of information about who they are. This gives you a kind of power. And you should never forget what you’ve learned. Don’t allow the noxious weed of resentment to take root in your garden. Justified? Perhaps. But this is your health and wellbeing we’re talking about, not anyone else’s. So the resentment absolutely has to go. I find it helpful to remember that there are no exceptions to karma. It comes to everyone, no matter how apparently powerful or well-positioned. If someone is treating you unfairly or unjustly, it will most certainly come back to them. I’ve read that this cycle typically occurs in a 5-year timeframe, and my own experience bears that out. If you’re being wronged, don’t hesitate to defend yourself. Calmly, professionally, inexorably. When doing so, bear your audience in mind. Some may respond more to a reasoned argument, others more to an honest expression of your feelings. Be honest, and at the same time, hold something in reserve. You don’t need to tell everything you know or feel. Communicate enough to make your point; what you’ve reserved may come in handy for a rebuttal. It’s very reasonable to be angry when you’re being treated unfairly. But do yourself the honor of channeling your anger into effective action that furthers your cause, rather than allowing your anger to ineffectively blow up, thus setting you back. No one else gets to dictate how you feel and what you’re stressed about. That choice is yours. While you are vulnerable in this world, it’s good to remember when under attack or duress that there are many things you possess that are inalienable and cannot be touched, no matter how dismal another person’s intentions may be. Your eternal soul, and its purpose and accomplishments. All the love you’ve given and received. All the joy you’ve experienced and have yet to experience. The truth of the situation. All of your many choices. All these things are yours. Take good care of yourself. Make sure you’re getting sleep, good, healthy food, physical activity–all that your body needs. Feed your mind and spirit too. Keep all aspects of your strength up–this is key. Don’t forget to have fun and do all the things you enjoy. Take advantage of all of your support systems–your partner if you have one, friends, family, supportive coworkers. And don’t forget your ancestors and all the angels standing by, just waiting to be asked to help. Strike an effective balance between being high-profile (making your voice heard) and low-profile (flying under the radar). If you already have your ego in check, you’re at a tremendous advantage in almost any situation over those who don’t–and that’s especially true now. Every person, and every difficult situation, is different. Please consider these elements potential ingredients in your personal recipe for grace and calm. 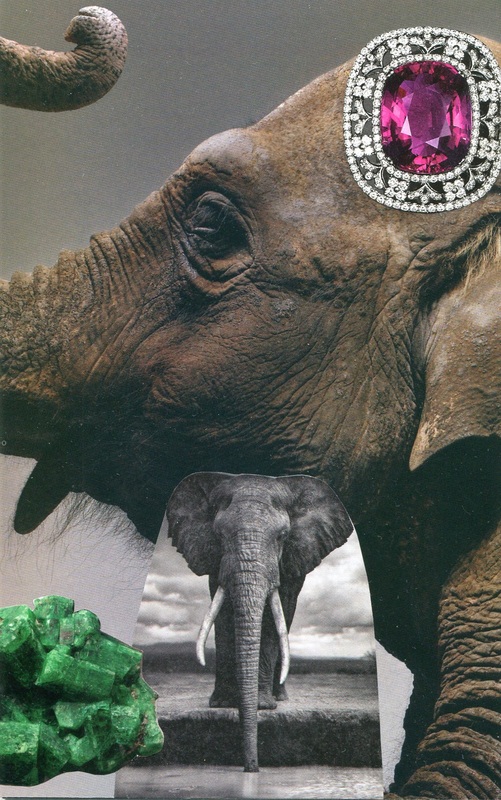 This post is illustrated with the SoulCollage card I made this past week, Grace under pressure. I am the one who has places to go … I will not always be where I am. You will move on. It’s the right thing to do. I am the one who is compassionate toward all living things. I am the embodiment of love in the world. I am one who longs to be of service to others. You will get your chance. 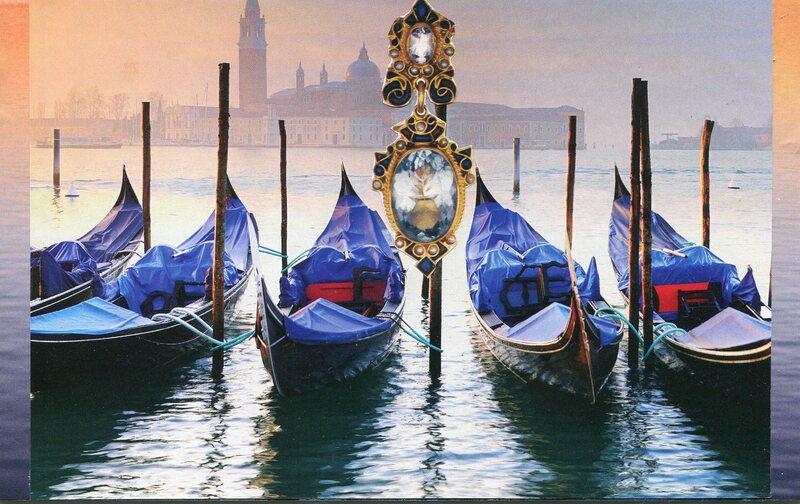 You will open many doors–this is just the beginning. Your heart is very large–expansive and expanding. You have much to offer the world. You will send your message of love and courage out all over the world, and it will be blessed. 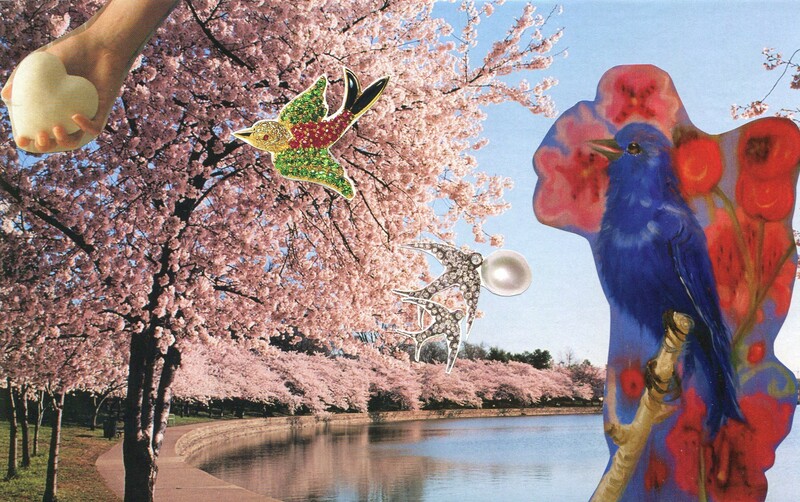 This post is illustrated with my SoulCollage cards New Journeys, Understanding + Two Paths, Opening the gate + Fawn totem–5th chakra, and Hope + Bird totem–4th chakra. 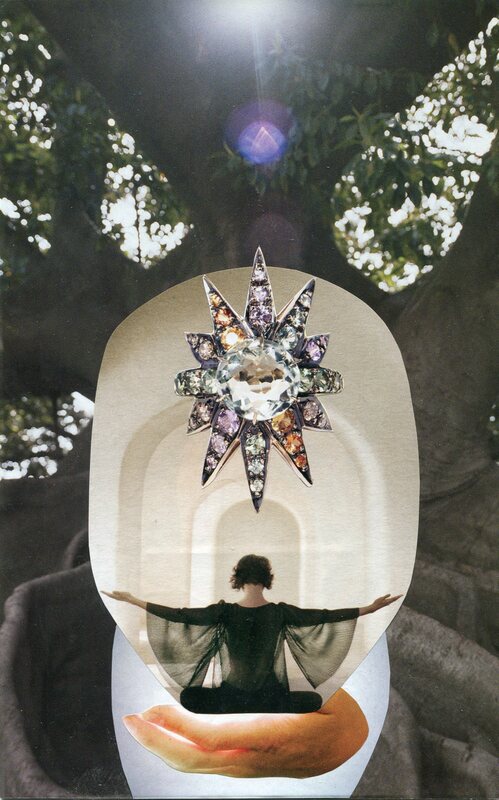 This is the SoulCollage card I made today to represent my Inner Healer–and yours. Whether it’s firing a surgeon who won’t listen and doesn’t value your opinion, doing your physical therapy or energy medicine homework, releasing your own toxic bitterness, or noticing whether a treatment is actually beneficial to you or not, I believe you yourself are the most important agent of your own healing. I once had a surgeon who wanted me to take a drug used to treat both genders by cutting off hormone production. In my case, it would have put my body into an immediate temporary menopause–something that doesn’t occur in nature, where menopause is a gradual process. Some women have such severe symptoms that this treatment comes as a real relief. Post-surgery, I had no symptoms, and my symptoms had never been debilitating, so I strongly suspected the cure would be worse than the disease. And that wasn’t counting the real possibility of permanent cognitive side effects. Additionally, nothing I read agreed with what my doctor said the drug would do for me. To the contrary, everything I read indicated that what he was saying was impossible–that it was, in fact, magical thinking. When I went back for my followup appointment, I told him I had researched the drug as he requested, and that my thoughts were that I didn’t want to take it, or any risk at all to my cognitive ability, on which my livelihood depends. He pointed out a medical model in the exam room that had been supplied by “those nice Lupron people,” and seemed to imply that my lack of compliance with his advice was ungrateful. He also said he’d only ever had one patient who’d had a problem with the drug–and strongly implied that she was the sort of difficult person who would naturally have those kinds of problems. Well, perhaps I would be too–but I had no intention of finding out. He was an excellent surgeon, but it became clear that he wouldn’t be able to accept my decision with grace, so within a matter of months, I had a new doctor. I’d asked my internist for a referral to a doctor who would consider me an equal partner in my healthcare. I thought it was telling that he referred me to a woman. Nearly 15 years later, I still see her at least annually. Right now, I’m working at least three times a day to permanently shift an apparently deeply-rooted energy pattern to a more stable pattern that will better support me. Doing this has given me a strong sense of being my own healer. Is there something in your body, or in your life, that requires healing today? Is there something you’ve been accepting that you don’t actually have to accept? How can you act as your own healer today? 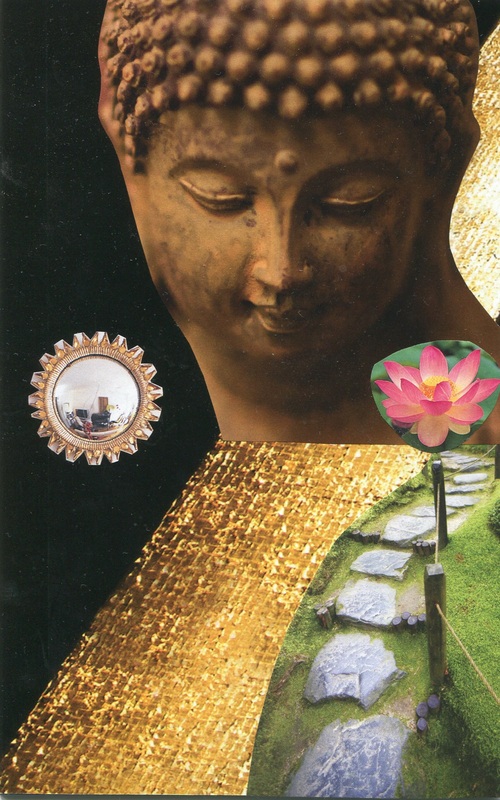 This post is illustrated with the SoulCollage card I made today, Inner Healer.